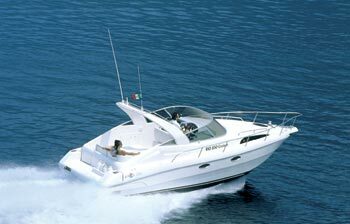 This elegant power boat was launched in 2001, a modern design, spacious interior and comfortable sun deck, makes it ideal for people who want to enjoy speed , luxury and pleasure. Overall length : 30 ft. Please note that the price is for Limassol Bay.